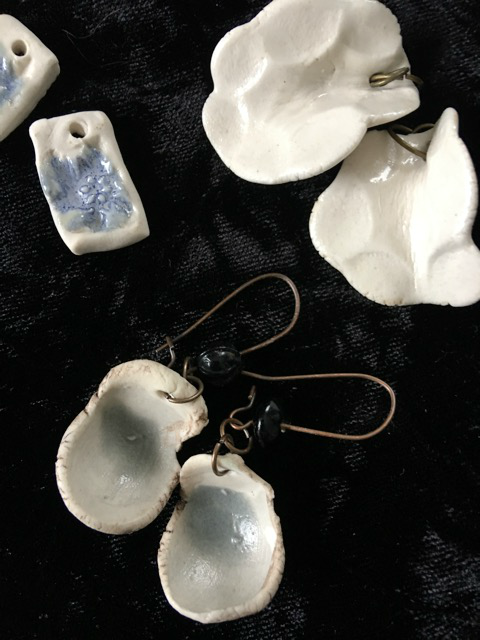 Porcelain jewelry: Make your very own wearable art. Over two sessions, you will design, sculpt and glaze a pendant, earrings, pins and buttons using porcelain clay. Bring: A notebook with ideas and any special findings you may want to use. Jewelry tools for wire work, if you have them.